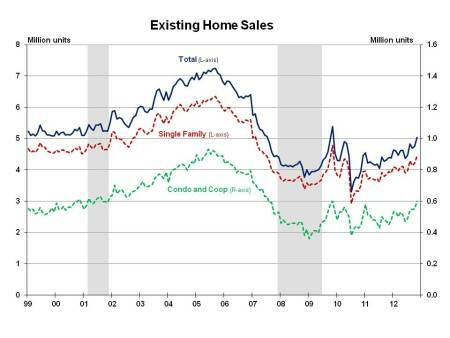 The NAHB reports that sales of existing homes continue to be strong through November of this year. These numbers are up from the previous month of October and the statistics show that sales of existing homes are way up from this time last year. Almost a third of the buyers were first time home buyers, another third being cash sales and a small portion going to real estate investors. The inventory of homes available has dropped from last month to a 4.8 month supply. Down almost half of what it was last year. 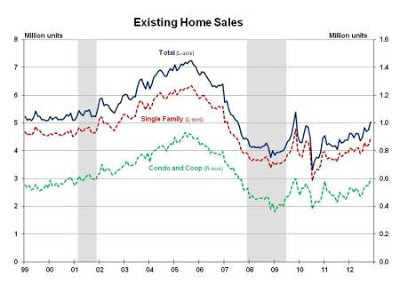 Home buyers are gaining confidence in the growing economy. These indicators are strong in supporting a continuing economic growth and recovery!